Additional Equipment, Inventory and Vehicles. Complete catalog listing now available at Online Bidding link. 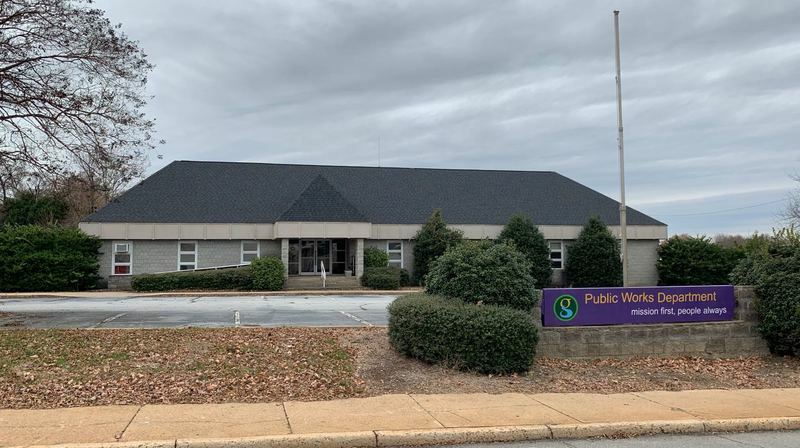 The City of Greenville has moved its offices and shop in order to make way for the new Unity Park. All of these buildings and remaining equipment will be sold at online auction. Below is an early list of items to be sold. See website for complete details as they come available. Some buildings will be sold complete and others will be salvaged. Other equipment located at the site including gasoline and natural gas pumping stations, 2 parking lot kiosks (1 with bathroom), exterior fencing, and other items. 4086 2 - Hand Pumps, Partial Bucket of Grease, Etc. 4105 4 - Sheets of Acrylic Plastic, 48" x 84"
4138 2 - 2 Drawer Lateral Files (shop quality), Metal Book Case, 35" x 13"
4421 5 Drawer Lateral File, 4 Drawer File, Fax Machine, Etc.